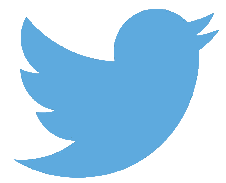 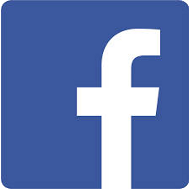 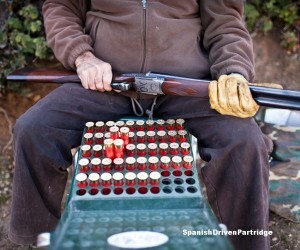 The line of guns can number up to 12, but in practice, seven or eight is an ideal number. 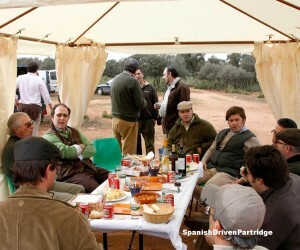 Guns generally stand behind butts, which are either built from scrub, oak branch, or pantallas, however prefabricated canvas screens can be used, depending on the local vegetation. 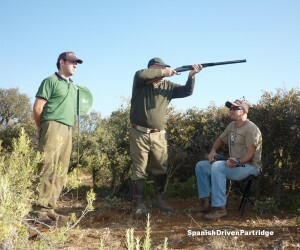 If guns are inexperienced or prefer to shoot with 'discos', simple discs can be mounted on the ends of 5-6 foot poles. 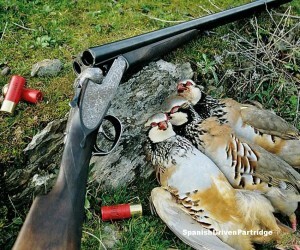 These are placed on either side of each gun with the discs at head height, where they can be easily arranged. 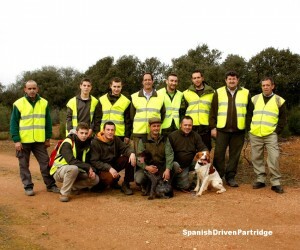 Not only do the 'discos' provide protection, but they also delineate the safe arc of fire from each position. 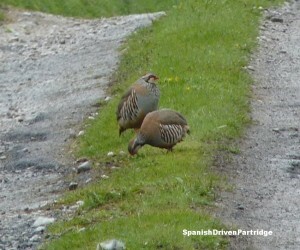 Drives start with two shots from the end guns , and end when the beaters have completed the drive. 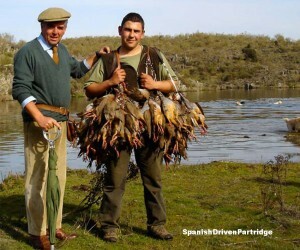 The shooting is very similar to grouse shooting with a tremendous variety of birds; low fast crossing birds, high curling birds, birds quartering from either side — even birds coming from behind on occasions! 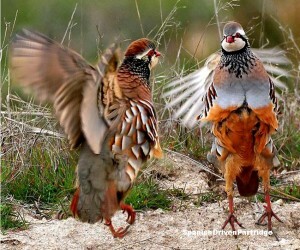 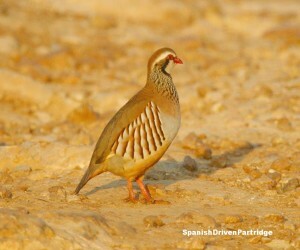 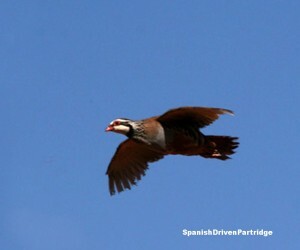 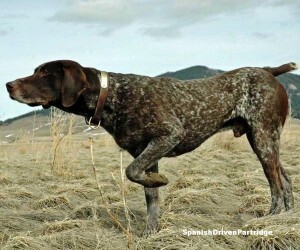 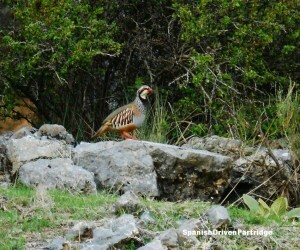 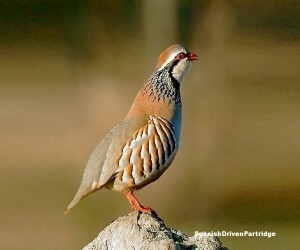 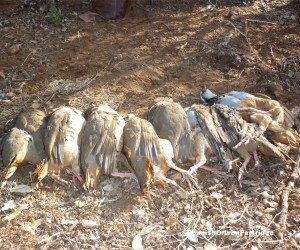 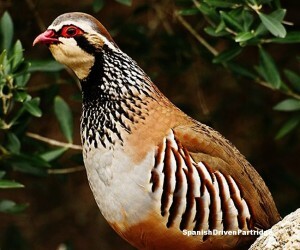 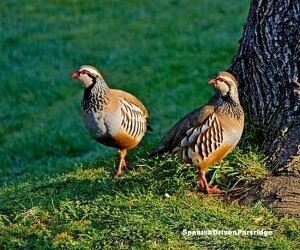 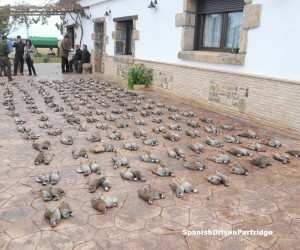 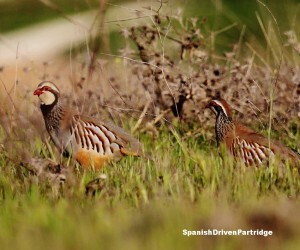 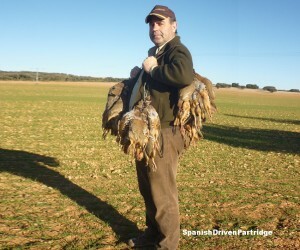 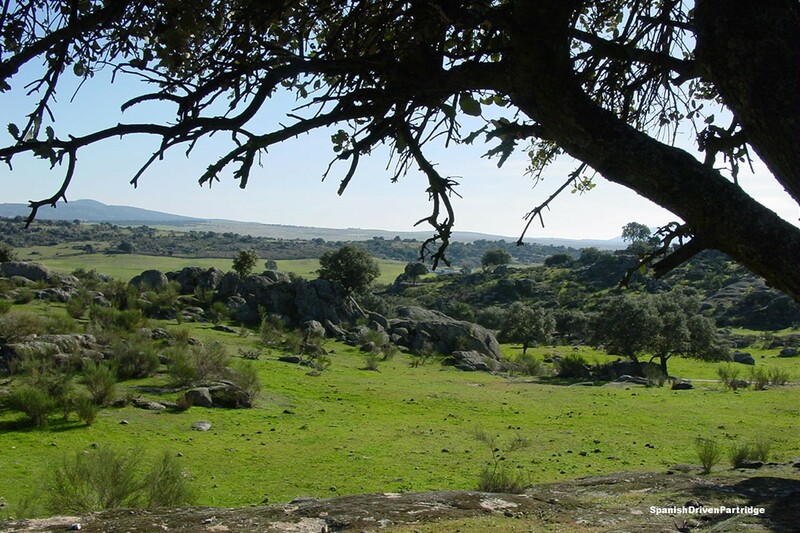 The Spanish partridge is a small target and tests even the most accomplished shot. 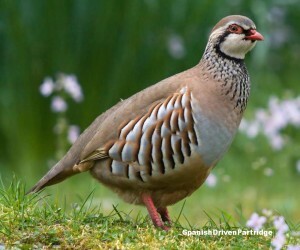 With the comparatively modern demand for shooting very high partridges, we can provide days where even dyed-in-the-wool, high bird shots will be satisfied. 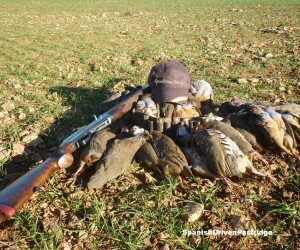 Over a three-day shoot, we like to mix up the days and drives as much as possible, so that the guns will be presented with a vast variety of birds. 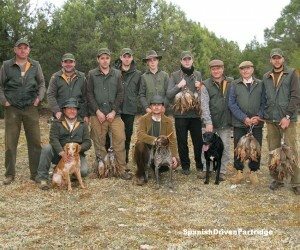 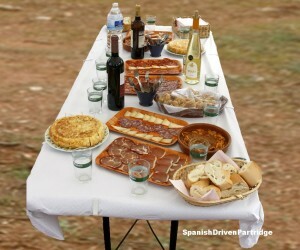 In our opinion, this is one of the delights of Spanish shooting.